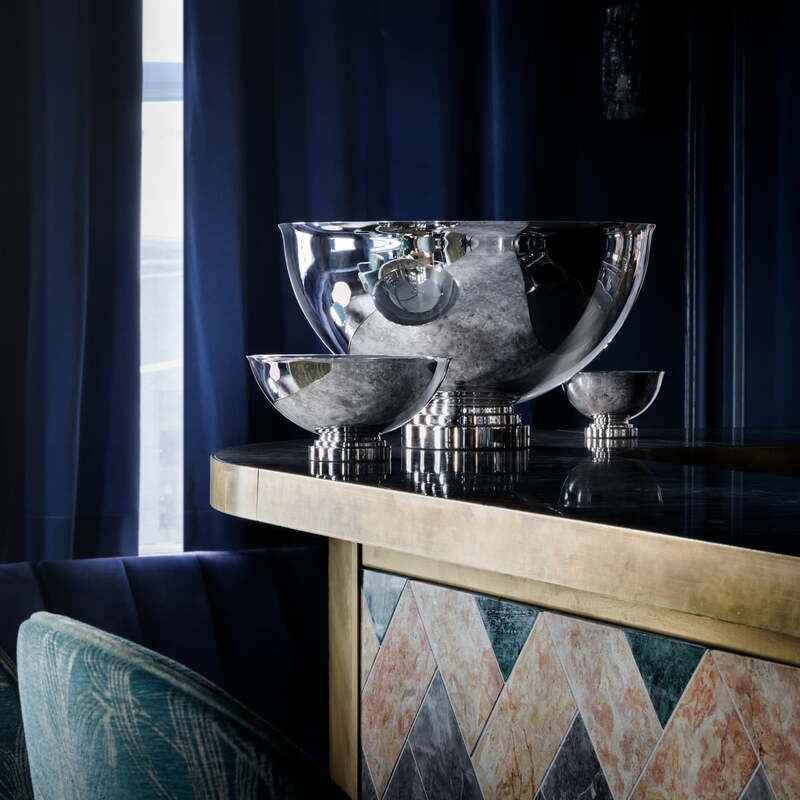 The champagne cooler from Georg Jensen is part of the Manhattan collection with utensils for the bar. The cooler is manufactured from mirror-polished stainless steel, which perfectly chills champagne or wine bottles and puts them perfectly to the fore at the same time. Product view of the Manhattan Champagne Cooler 40 x 30 cm by Georg Jensen. 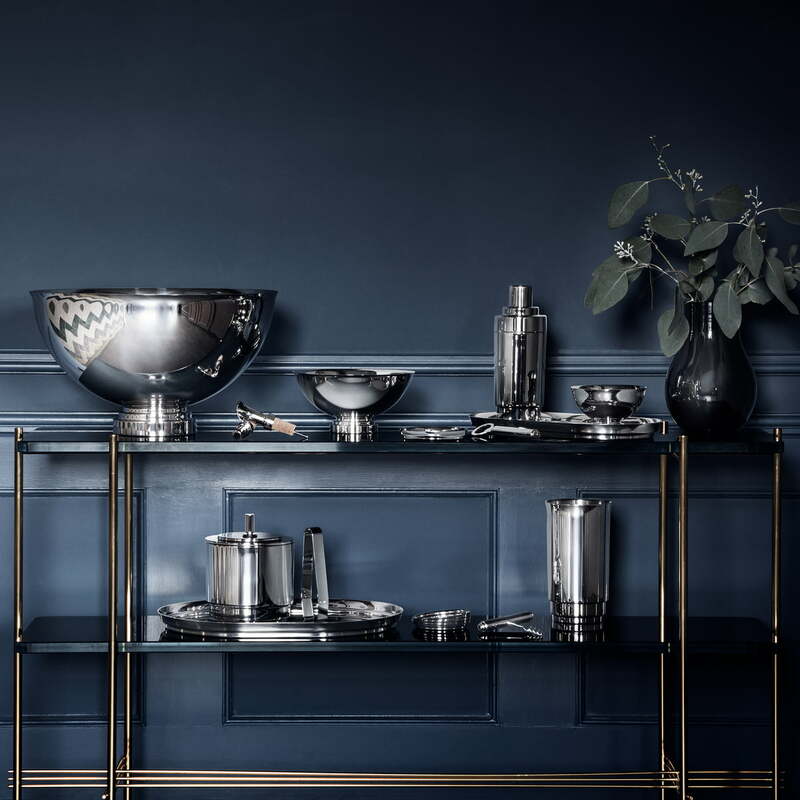 The champagne cooler from Georg Jensen is part of the Manhattan collection with utensils for the bar. 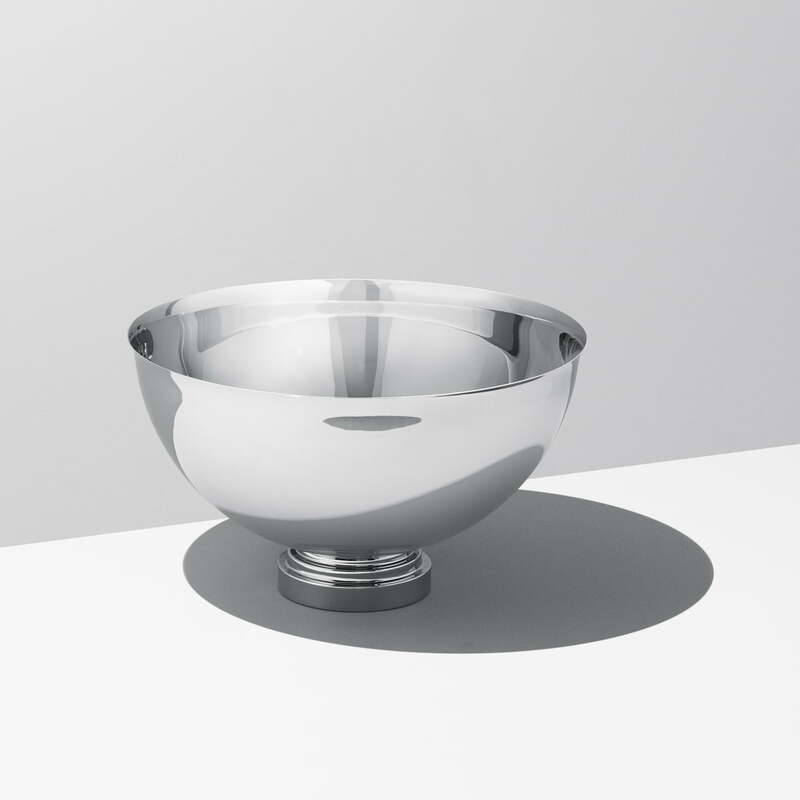 Product view of the Manhattan Champagne Cooler Ø 40 cm by Georg Jensen. It is made of mirror polished stainless steel, and presents the champagne bottle in a stylish way. 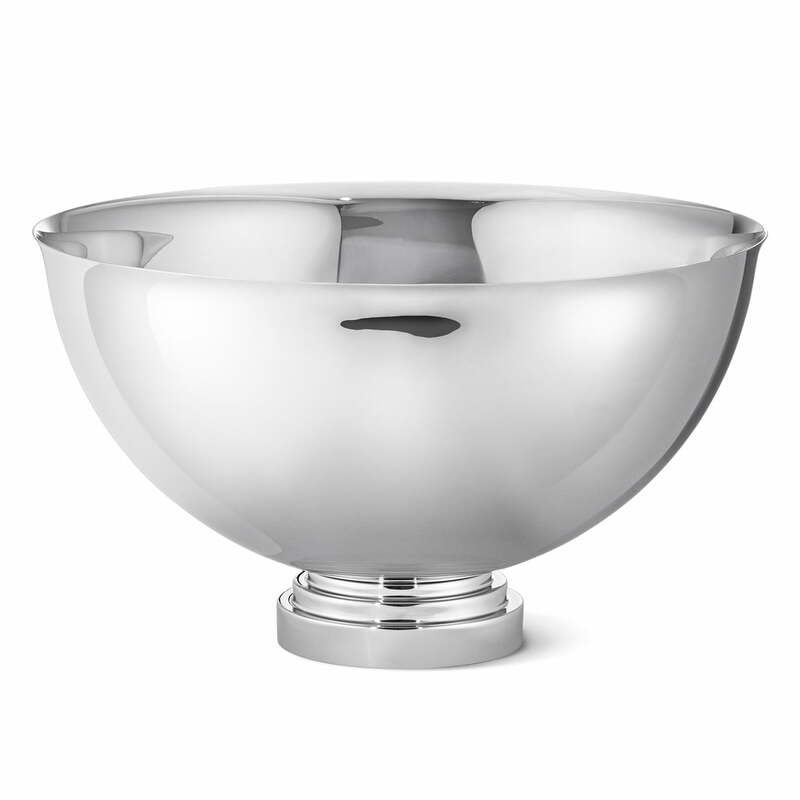 In addition to the champagne cooler also bowls in different sizes belong to the Manhattan collection of Georg Jensen. They are made of stainless steel.